alice in wonderland | wherever you are, be. During my routine Saturday morning baking, I flipped on the TV. It’s a wonder the cookies didn’t turn out awful, because my attention shifted from the oat flour to Wonderland rather quickly. Alice has a lot to teach us, but while watching Disney’s 2010 version of the story, I think I loved most how her realization of reality unfolds. The tale is a progression from dream to actuality. The impossible becomes possible. “Sometimes I believe in six impossible things before breakfast. There’s a potion that can make you shrink. There’s a cake that can make you grow. There’s a place called Wonderland. 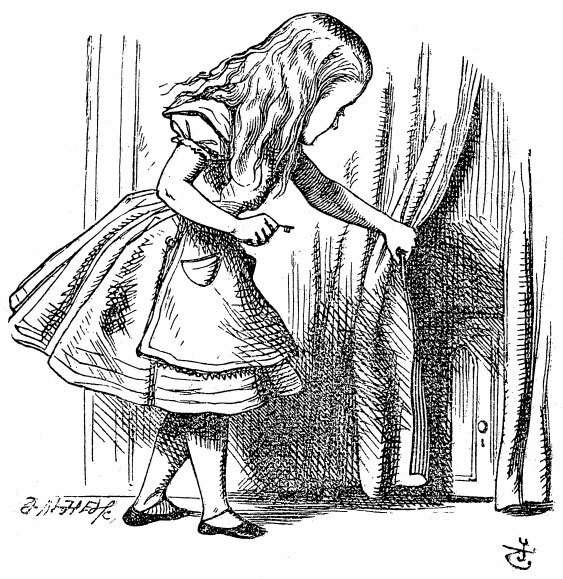 During most of Alice’s journey through Wonderland, she believes she is simply dreaming, and will return home soon. The Red Queen isn’t an immediate threat and Alice’s duty to slay the jabberwocky isn’t of immediate importance because, of course, she is just dreaming and will return home soon. She hasn’t gone home, isn’t waking up. And she’s made friends. She allowed herself to become so entangled in her dream world because she’s convinced it isn’t real. And when the time comes to defeat the enemy, she isn’t scared. Because if so many impossible things have happened to her already in Wonderland, then why not another? What if we lived life a little bit more like Alice? Unafraid of the impossible. I think we would all take a little more risk if we knew we were living in a dream, and would just wake up like nothing ever happened. But why should we reserve the impossible for our dreams and hold on to the possible as our safety net? Alice believed in the impossible, which allowed her to do immeasurably more. What if dreaming the impossible is really just another way of referencing the strength of our faith? Having faith in what is Right, in what is True, so that we are able to turn the abstract and the unattainable into, simply, immeasurably more. And as our faith continuously delivers, it grows. Just like Alice’s. P.S. Here’s the recipe to the cookies I made this morning. Strongly recommended. Foodie Friday: Elizabeth Rider + Healthy Pumpkin Spice Cookies. Now to Him who is able to do immeasurably more than all we ask or imagine, according to His power that is at work within us, to Him be the glory.